A vast city of daunting extremes, Jakarta is one of the world’s largest cities, sprawling over 661 square km of northern Java. 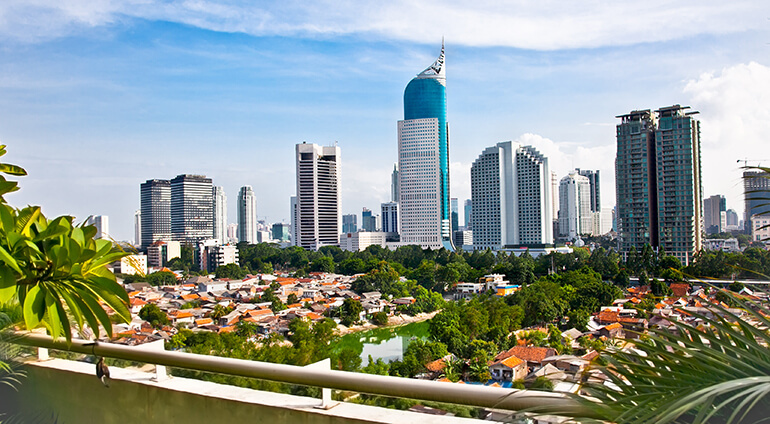 As Indonesia’s most densely populated metropolis (with over 13 million residents), Jakarta’s become better known for its gridlocked streets and concrete high rises than as a primary tourist destination. But if you’re willing to look beyond the chaos, this capital has many hidden charms, including an interesting old town (Kota) and vibrant nightlife. Founded more than 1,500 years ago, Jakarta feels both old and new; a place where you can visit historical relics or take a trip to a flashy new shopping mall. But hold onto your hats, it’s certainly not for the faint-hearted.